For the last two years, our finisher medals have been designed to magnetically attach a challenge coin to it, to complete it. This feature makes the Run To Remember medal one of the most unique items and finisher medals in your collection! Finish Line Festival. One coin per participant. There is a Challenge Coin “tear- off” tab on your bib, please present this at the booth. Do you know where the tradition of challenge coins, those small tokens signifying belonging to a particular organization, come from? The practice of carrying a challenge coin has been exercised throughout the years to build camaraderie in the military and it’s extremely well respected. Their styles, sizes and shapes (some come in the shape of a shield or even dog tags) vary and so does their material - from pewter, copper, to nickel, and different finishes like silver or gold – and their design. Although coins in the military service go back to Ancient Rome, when soldiers who performed well in battle would be rewarded, it’s impossible to define exactly when the tradition began. The most common story and recollection of challenge coins in modern age dates back to World War I, when a wealthy officer had some made with the squadron’s insignia, to give to his troops. Here’s a detailed history of how challenge coins continued to evolve throughout the years. 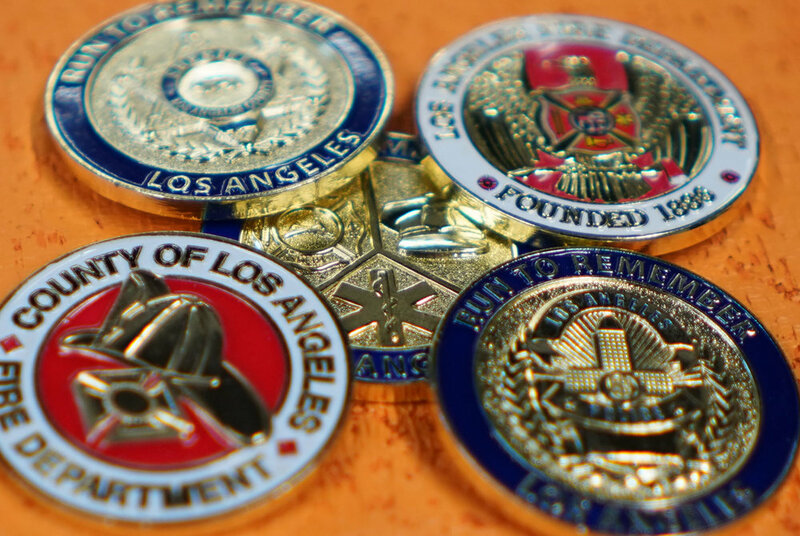 Today, the military, police and fire departments still hand out coins as token of appreciation, as well as ID badges for specific units, while other challenge coins are used within civic organizations. Even Presidents and Vice Presidents have their challenge coins! 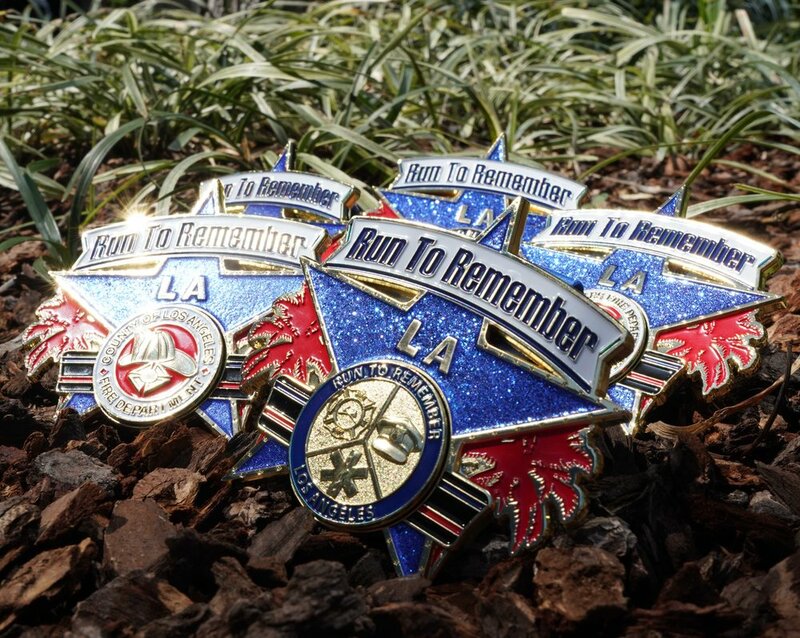 Challenge coins have become a long-lasting collectors’ item and way to show your allegiance anytime, anyplace, and we hope you’ll want to continue collecting the Run To Remember Los Angeles challenge coins for years to come!